Global Herbs Mud-X is fed in your horse's everyday feed to give a shiny coat throughout the year. Mud-X is ideal if you are concerned about muddy conditions causing skin problems (such as mud fever) and will provide a glossy, shiny coat to help keep mud from the coat. Mud-X Liquid is ideal for year round use to maintain a healthy coat and is more palatable than the powder form. Mud-X Powder is ideal for stronger situations and works well when fed alongside GlobalVite to increase the strength of the skin. 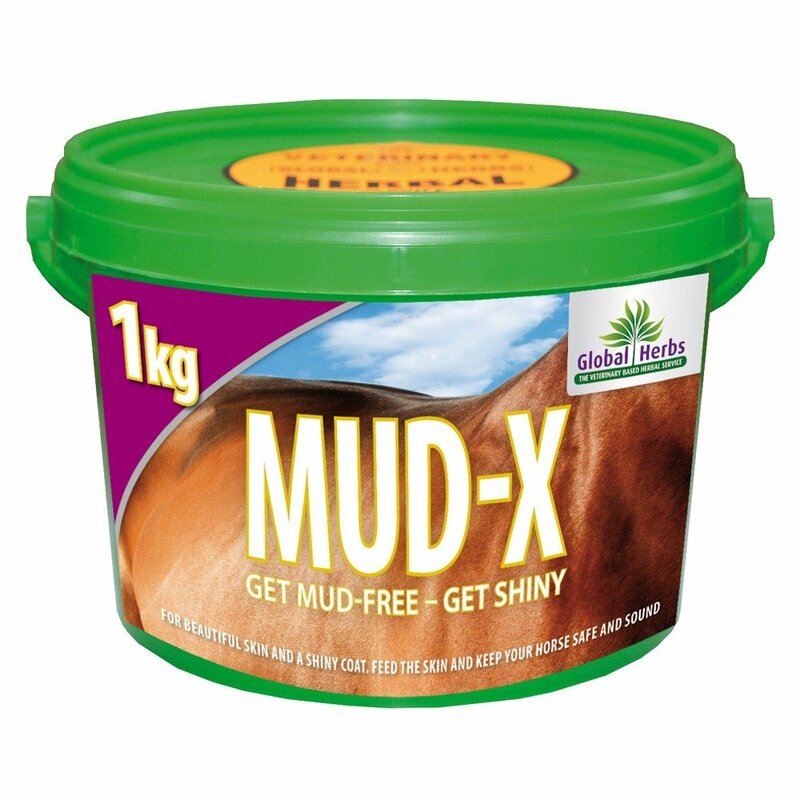 Mud-X should be introduced gradually to the feed as it is quite a strong formula, particularly in powder form.